This is a pre-blogging project from last year, but it turned out so cute I wanted to share it for anyone looking for an inexpensive and easy Halloween project! Check out this adorable group of Jack-O-Lanterns! My kids and their cousins last October. 2. Cut out the inside pieces of your pumpkin face, then iron the stencil waxy side down onto the front of your t-shirt. 3. Slip a piece of cardboard or several sheets of folded newspaper inside the shirt so the paint doesn't bleed through. 4. Using a foam brush, paint over your stencil. It works best if you brush from the paper onto the fabric so it doesn't bleed under the stencil and you do a couple light coats rather than a thick, gloppy one. The kids chose from a few different designs. "Pop Pop" helps my youngest with her shirt. 5. Once the stencils are fully painted, set the shirts aside to dry. Depending on the amount of paint used and the size of the design, it'll take anywhere from 30 minutes to a couple hours. That's it! Cute Halloween shirts for just a few dollars. So cute! A great project as always. Those are adorable, great job!! So cute and what a great tutorial! Thanks for the link to the faces :) I will make this a priority to do for sure! 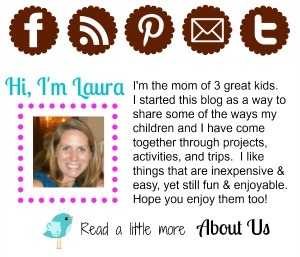 Hope you have a great week, Laura! These are so cute and it looks like the kids had a blast making them! I think you just gave me Moosey's Halloween bday craft idea...THANKS! That is an awesome idea, can't wait to try that with kids at church. So darling, I just love all of the different versions, I love doing projects with the cousins! Thanks for showing off! this is great and a fab group activity for a party or class! Thanks so much for sharing & linking to the Sunday Showcase! I hope to see you again this week! fun, fun idea. 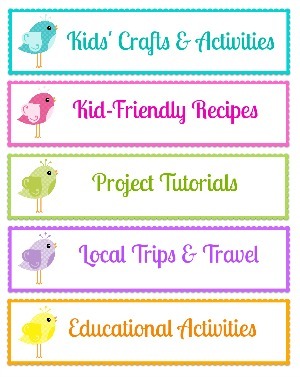 I will be featuring these next week at somedaycrafts.blogspot.com. Love it! Where did you find those awesome full coverage paint suits? I'll be sure to try this next time there's a holiday or a celebration. This will be a good family activity, thanks. It could function search for Sarahah App. Download And Install the https://sarahahapp.net by entering username and password. such a fantastic post.I really liked all beautiful pic. I appreciate your blog. Thanks for share this post. The children are smart and beautiful.